This is a one-of-a-kind musical and spiritual immersion in the Bhakti yoga kirtan culture. The Supersoul Kirtan Academy is open to all levels--anyone in love with kirtan, mantra meditation, yoga lifestyle and Bhakti yoga! Announcing the Supersoul Kirtan Academy -- a residential program in India for 3 consecutive weeks. You’ll be amazed at how skilled you can become in such a short time and how much fun you will have in the process of learning. Learn valuable techniques in vocal training and control to reach your potential singing in kirtan. This includes breathing practices, vocal care, enunciation, the anatomy of the voice and throat, harmonizing, learning the scale of your voice, and how to make the most of your personal range. Learn how to hold and control rhythm and develop your sense of timing to dynamically lead and follow in kirtan. The building blocks of basic, intermediate and advanced beats used in all kirtans. Everything from rhythmic changes, ornamentations, and techniques and practices for sharp and accurate rhythm. 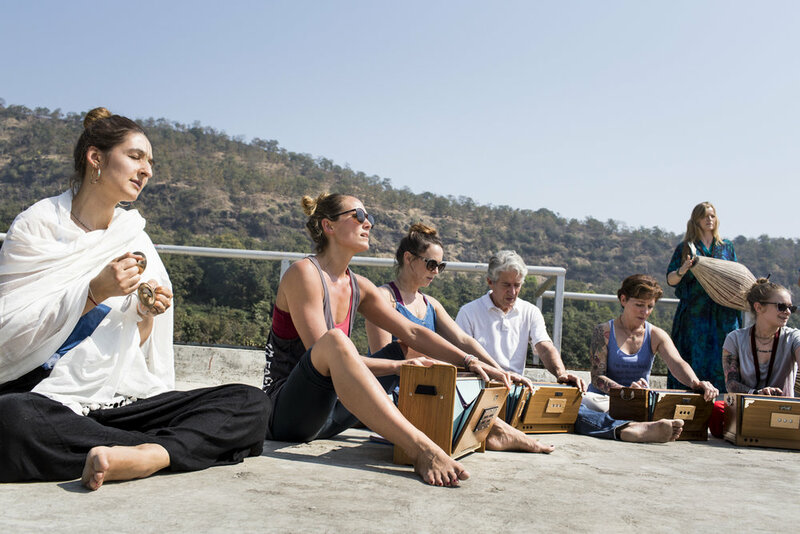 Learn harmonium, drum, and hand cymbals to lead kirtan in beautifully accompanied ways. You will have the opportunity to learn all three primary, traditional instruments or focus deeply on one. You will learn various scales and melody structures along with take-away practices to entrain your skills. Learn various chants for kirtan and the with many beautiful traditional mantras and songs to inspired your devotional practices and share with others. Learn and practice the art of setting the pace in a kirtan as well as comfortably and confidently lead others in chanting in all environments. Born and raised in a household of avid Kirtan singers and musicians, Madhu (Mādhurī Pūra Dāsa) is a meditation coach who has dedicated his life to sharing bhakti yoga. Madhu studied traditional Vedic instruments as a child and later studied both Indian and western classical music in depth. 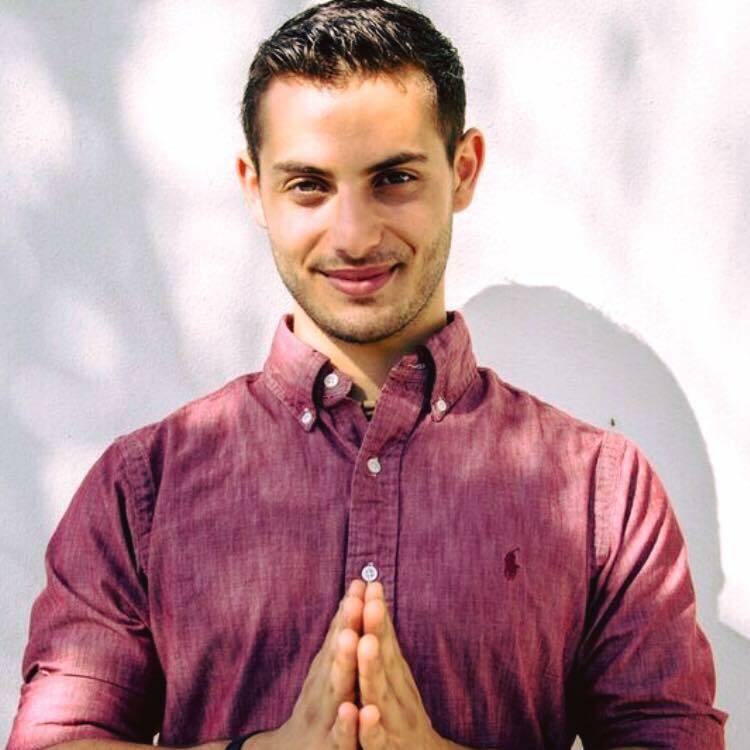 His style of music is a blend of modern influences with the ancient art of kirtan, creating a unique sound. Madhu travels internationally and hosts mantra meditation workshops, enlivening and energizing communities with his music. The driving force behind his enthusiasm for what he does is the desire to have kirtan appreciated by all types of people. 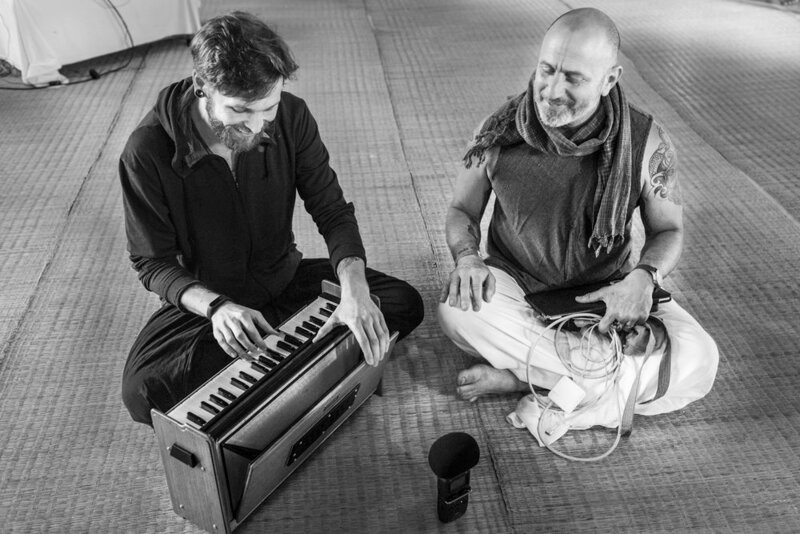 Mādhurī Pūra Dāsa offers Kirtan music training lessons for learning how to lead and participate in Kirtan, vocal and instrument training, and the history and philosophy of Kirtan for beginner, intermediate and advanced level. One will learn the mood, mechanics and methodologies of ancient devotional chanting and how to integrate it into one's daily life for divine connection. Janeswar grew up singing and playing kirtan. He is a master at leading kirtan and a gifted teacher who has been practicing bhakti from a very young age. His music training took place at the Bhaktivedanta Gurukul (traditional vedic education system) under the well known mridanga (drum) teacher Radha Govinda Pal. 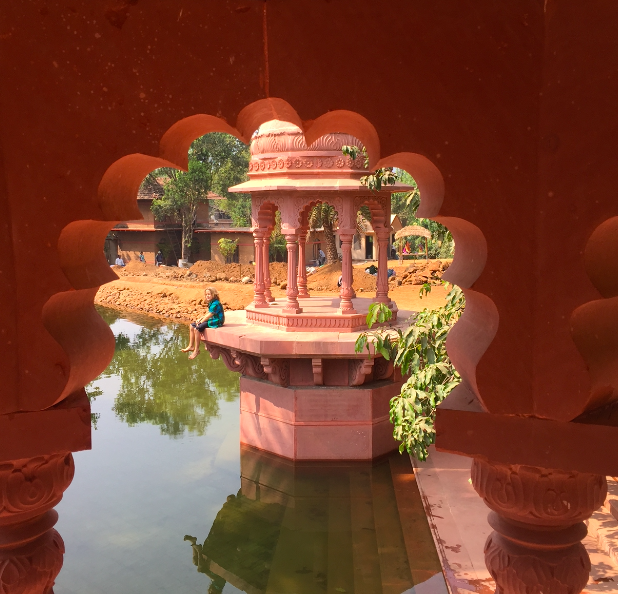 Later on, Janeshwar traveled to the holy village of Vrindavan where he took the vows of a monk and did selfless service at the famous 24-hour Kirtan Mandali for several years. Today he travels around India playing for Kirtan Festivals. Under his tutelage, students will learn the best and traditional way of drumming (on the mrdanga clay drum) and will leave with the skills needed to accompany kirtans. When you visit GEV, you will experience a community that is a successful fusion between ancient Vedic wisdom and modern science. The investment for this course is $3,595 USD* with a $500 non-refundable down payment to hold your spot if received by May 31. Tuition is $3,795 USD if received by December 30. *Early discount ends May 31. To qualify, full payment must be received before the early discount cutoff date. Payment deadline is December 30, 2019. *The Flower Festival is an incredible yearly festival taking place at the Mumbai Radha Gopinath temple. A bus will be provided to Mumbai the day of the flower festival but students are responsible for their car to the airport (which can be booked through the ecovillage). We treat this training as if we're living in a traditional ashram or on a pilgrimage and we are also respectful for the culture and the village lifestyle in rural India. For the 3 weeks we ask the students to abstain from meat, fish or eggs, intoxicants or smoking, sexual promiscuity.